The AvantBox Belle Luxe 2018 is an upgraded and improved version of our first batch design of Belle Luxe (2016). An essential piece for makeup enthusiasts who need much storage space and wish to add glam to your vanity. Its elegant comprehensive storage lets you organize your products stylishly and keeps them clean from dust. 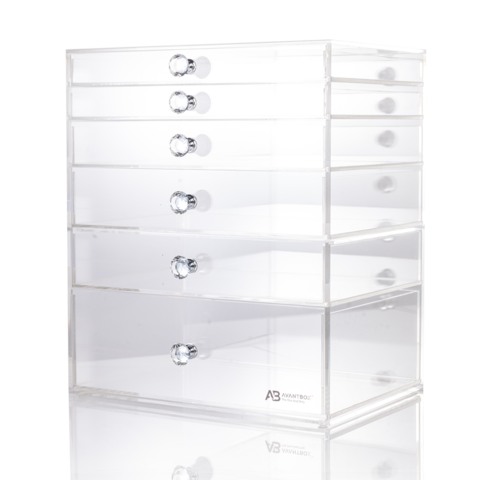 The 6 drawer configuration is especially perfect for makeup collectors as the storage space lets you store numerous amount of products from liquid lipsticks, mascaras, loose powders, eyeshadow palettes to foundations and jars of skincare products – it’s a lot of space you can imagine. 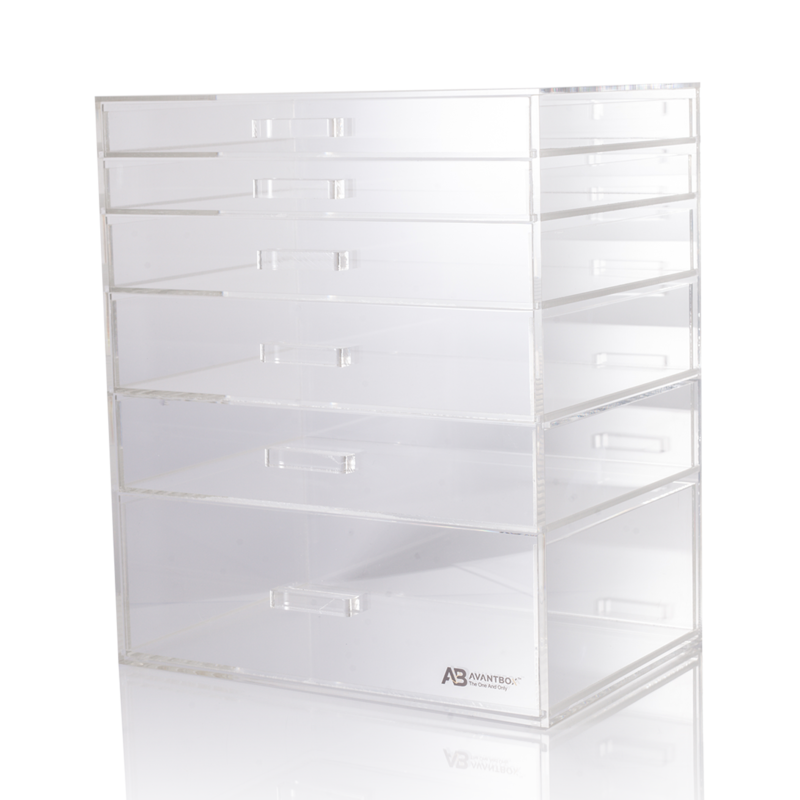 The bottom drawer is made with added depth to provide enough room for storing liquid foundations upright, or store your eyeshadow palettes upright. This is a key feature that is not found in AvantBox Belle Chic. Made from premium-quality, crystal clear, pure Lucite acrylic and elegant strip and crystal handles, Belle Luxe will add elegance and sophistication to your vanity counter. 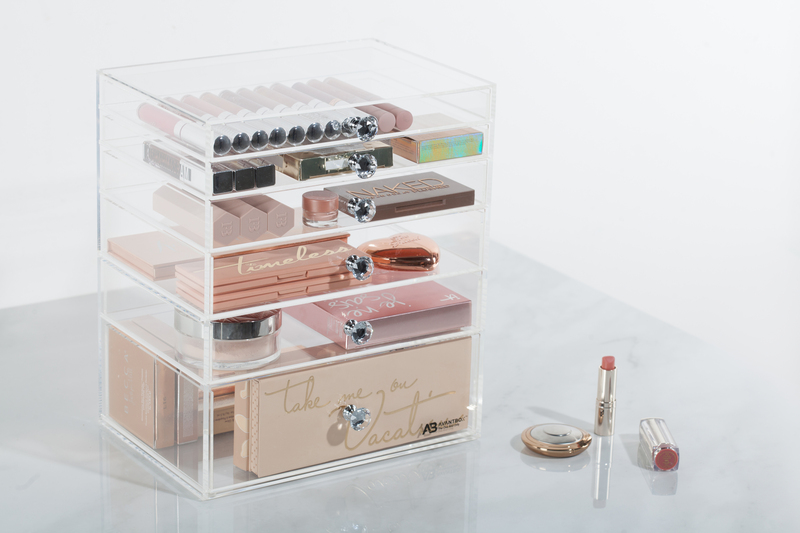 Don’t feel limited with organizing only makeup, feel free to explore the multiuse and functionality of the AvantBox Belle Chic and organize skincare products, hair care products and jewellery as you like to!